As momentum grows in countries like Rwanda and Burundi to bear down on red tape and improve the business enabling environment (see “Doing Business in the East African Community 2013: smarter regulations for small and medium size enterprises”) it seems that western governments are doing less to live up to their own rhetoric of making life easier for business. Over the last 8 years, the five countries of the East African Community have implemented 74 institutional or regulatory reforms to improve the enabling environment. To be fair, they have a long way to go: Rwanda has climbed to 52 out of the 185 countries now ranked annually whilst Burundi still languishes at 159. But recent stories in the UK and US suggest that government enthusiasm to help business is waning. In the US, the National Federation of Independent Business, fed up with what they see as a tidal wave of regulation, has launched a new campaign, “Small Business for Sensible Regulation” to fight federal regulation that might stifle job creation not least because, they argue, it is small businesses that tend to drive job creation and economic growth. They say that complying with federal regulations is the most important problem facing small business today. Thomas Sternburg, founder of Staples which now employs more than 50,000 people, says that the level of red tape now would have meant that he would struggle to start his business today – and he argues in favour of the proposed Regulatory Improvement Act of 2013. The Economist describes efforts by a group of US technology entrepreneurs to lobby for improvement in regulation in the US – FWD.US was launched in April to campaign for immigration reform. Its proposals have already passed through the Senate and it is now focusing on the House of Representatives. The key lesson from their efforts so far seems to be recognition that change in the law has to confer a wider public benefit than simply helping their businesses recruit the talent that they need (See Economist 24 Aug 2013: Mr Geek goes to Washington). In the UK, a recent article in the Sunday Times (See Sunday Times, 18 Aug 2013: red tape bonfire fizzles out) reports on a review by the Government’s regulatory policy committee saying that the Government is adding to the regulatory (and financial) burden much more than it ought to be. The review asserts that government’s estimates of the cost to business of new regulation too low and that estimates of the benefits of removing old and redundant regulation are too high. The result is that costs to business increase at the rate of £80m per year. The review says that the net excess cost of regulation introduced since 2011 is more than £350m. It would be much better – and more likely to raise hackles and thus serious opposition from trade associations and others – if all these statements were amalgamated into a single report. And it would be better still if each six monthly report said what Departments planned to do generally to cut regulation rather than solely to respond to the need to eliminate old regulations in order to introduce new ones. Governments need to keep focused on ensuring that regulation does not impose burdens on business that simply deter business from ‘doing business’ – but they also need to focus on the substance and not just keep ‘moving the deckchairs’. They also need to take extreme care to ensure that they think about the impact of regulation on small business. Big business can largely take care of itself, not least because they can afford to pay for people to deal with the red tape. But small businesses usually rely on the entrepreneur, who usually needs to devote his or her spare time, to deal with regulation. So thinking small first is immensely important. The British Government announced on 28 June that it was appointing six business leaders to a red-tape task force, specifically to identify European regulations that need to be scrapped or reformed (see BBC news). The group includes Marc Bolland, CEO of Marks & Spencer, Paul Walsh, chairman of Compass, Ian Cheshire, CEO of Kingfisher, Glenn Cooper, MD of ATG Access, Louise Makin, CEO of BTG – and just one person who might be regarded as representing small business, Dale Murray, investor and entrepreneur. Firstly, large businesses do not think about red tape and regulation in the same way as mall businesses. Large businesses can deal much more easily with the requirements imposed. And they are much better placed to defend themselves if something goes wrong. But more importantly, there is tendency to think that provided they are happy, then everyone is happy, often not recognising that large companies use regulation as a competitive advantage. Much better to design regulatory policy and implementation requirements so that it is acceptable first to small business – and large businesses will then also be happy. So the task force is weighted the wrong way. Secondly, the government is forever saying that it wants to do more to cut regulation, but most of the action seems to be on the organisation of the structures within government rather than on the regulation itself. After the re-election of the Tories in 1983, they initiated work on deregulation, subsequently launching the Enterprise and Deregulation Unit (within government) in 1986, and renaming it the Deregulation Unit in 1991. Their efforts were reinvigorated in 1992 and the Deregulation Task Force was launched in 1994. The first Blair administration was equally keen to demonstrate its friendliness to business but recognised both that a greater level of regulation was inevitable and that being careful about the way in which regulation was implemented could reduce the imposition on business. It consequently replaced the DTF with a Better Regulation Task Force (which quickly set out five principles of effective regulation) and replaced the Deregulation Unit with the Better Regulation Unit. The Government launched the Better Regulation Guide in 1998 which introduced the concept of Regulatory Impact Assessments. The Better Regulation Unit became the Regulatory Impact Unit in 1999. Up to 2005 the Cabinet Office took responsibility for better regulation. In 2005, the Regulatory Impact Unit was moved to BERR and renamed the Better Regulation Executive. The Better Regulation Task Force was renamed the Better Regulation Commission in 2006 and closed in 2008, with the Executive taking on the work, supported by a Regulatory Policy Committee set up in 2009. The Government also started to make efforts to improve local regulation, setting up the Local Better Regulation Office in 2009, based in Birmingham, but then bringing that back within BIS in 2012 and renaming it the Better Regulation Delivery Office. 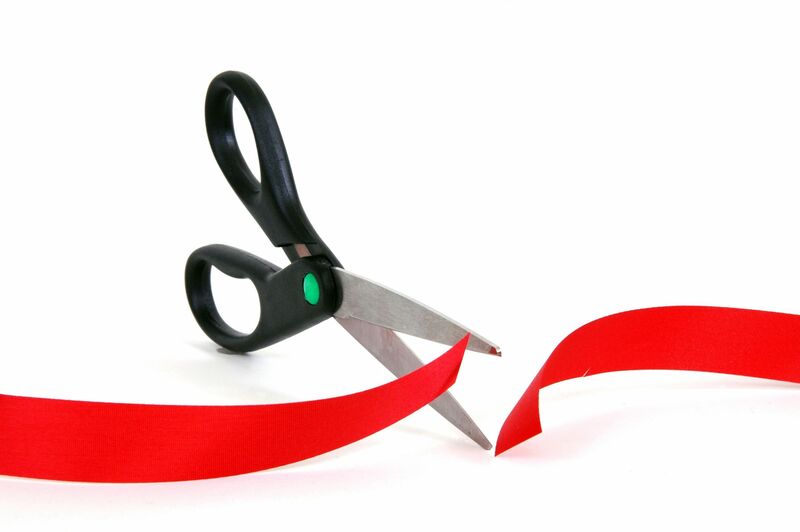 The Government has also launched the Red Tape Challenge website to encourage businesses and the public at large to tell it about regulation that is not fit for purpose. It is not even clear whether this new initiative replaces on the existing initiatives or is additional – or indeed why there should be a unit that focuses solely on EU legislation, when often the problem is not the EU legislation but the desire of civil servants to ‘gold-plate’ the directive on the grounds that this gives certainty to business (thus adding considerably, usually, to the complexity). Thirdly, the best way to mitigate the impact of EU regulation is to ensure that we are there at the beginning, as ideas are being formulated. In the UK, we are still too used to adversarial politics – and a chance to argue about policy right to the last minute. But most of Europe, and certainly the Commission, takes a more consensual approach. This means that the real work needs to go on before a position is ever published by the Commission. And that, in turn, requires considerable effort by business associations and others to ensure that they are gathering market intelligence and doing something about it. I am sure you will have your ideas – do please feel free to share them. Forbes magazine has its own take on the best countries in which to do business. It has just published its 2011 Best Countries for Business list. It looked at 11 factors – property rights, innovation, taxes, technology, corruption, personal freedom, trade freedom, monetary freedom, investor protection, red tape and stock market performance – so has a rather different perspective to Doing Business, though considerable overlap as well. It uses research undertaken by others including Freedom House, Heritage Foundation, World Bank, Transparency International, World economic Forum and others. The list covers 134 countries. Canada has this year taken the top spot, up from 4th in 2010, rising it seems largely due to reforming its tax structure and reducing tax levels. It is worth noting that the Government of Canada is actively aiming to make Canada more competitive for business. Denmark, which was number one in 2010 slipped to 5th. It is interesting to note however that the Nordic countries generally do very well, with Sweden at 7, Norway at 8 and Finland at 13. Singapore, which was top in the Doing Business ranking, comes in at 6. The UK is at 9, one position ahead of the US at 10. It is not surprising to discover that countries in sub-Saharan Africa, on the whole, fare badly. Rwanda does quite well, coming in at 65. Mozambique does surprisingly well coming in at 77. Nigeria is at 101, Kenya at 103, Uganda at 107 and Tanzania at 108. Burundi is in the bottom three – 132 – with Zimbabwe at 133 and Chad last at 134. The Forbes list does not get the widespread coverage of Doing Business but makes use of some factors, such as stock market performance, that might be expected to give some indication of business confidence in a country. Overall, it doesn’t really tell us any more than we get from Doing Business – except that governments need to make considerable effort if they want to make their countries good places in which to do business.